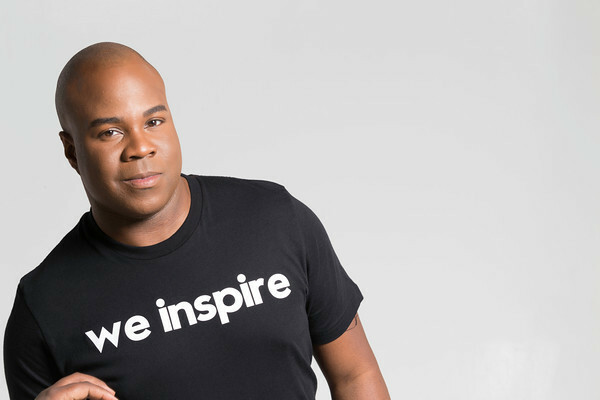 Meet Jamarl D. Clark, the creative force behind WeINSPIRE movement. A native of Charlotte, North Carolina, Jamarl has been motivated to create positivity from an early age. Challenged by a speech impediment as a child, with professionals informing his father and mother he’d always test below grade level, Jamarl leaned into his positivity and has become a successful motivational speaker as an adult. 100 Black Men of Greater Charlotte, where Jamarl was a mentee, was a major influence in Jamarl’s life from childhood through college. During his undergraduate studies at Appalachian State University, Jamarl’s focused his energy via contributions to the betterment of student life outside of the classroom. His efforts were recognized when he was awarded ASU’s highest leadership honor, the W.H. Plemmons Leadership Medallion. As a first-generation college graduate, not only was this a great honor, it was also an affirming, life-changing experience for Jamarl and his family. Jamarl serves as an active alumnus of AmeriCorps; proud member of Alpha Phi Alpha Fraternity, Incorporated; and founder of WeINSPIRE. There is no slowing down the incredible motivation and aspirations of Jamarl D. Clark. Nominated and honored as one of the DC, Maryland, and Virginia (DMV) area’s 30 Under 30 Most Influential people, Jamarl is dedicated to inspiring others to recharge their lives and contribute to positive changes for everyone. Jamarl has been featured in several local, national, and international news and media outlets, including the Washington Post, National Public Radio, Canada Broadcasting Corporation, British Broadcasting Corporation, WPGC-FM, and Middays with Michelle. In addition, Jamarl is the founder of J. Edmond & Co., LLC which is committed to executing elegant, stylish, and flawless events and meetings. With popular and successful work, which includes the coordination of the annual Clark Family Reunion hosted in Atlanta, Georgia.